In January 2013 pianist and conductor Peter Nero was awarded a Certificate by the President of the Philadelphia City Council honoring his outstanding lifetime musical achievements, and recognizing his innumerable contributions to the arts and culture in Philadelphia as an award-winning pianist and the founding conductor and Artistic Director of the world renowned Peter Nero and the Philly POPS orchestra. In October 2009 Peter Nero was also honored with lifetime achievement awards from the American Federation of Musicians (AFM) and the Philadelphia Musicians’ Union Local 77, AFM. He also received the Mario Lanza Award, in recognition of outstanding achievement in the field of music, in November 2009. “Peter Nero is, of course, known for his piano playing, covering a range from classical concert repertoire to straight-ahead jazz. His fingers stretch as far as Art Tatum’s, and he practically knows no limits on the Steinway. He is also a fine conductor … Philadelphia is lucky to have him and his, by now, trademark Philly Pops,” said All About Jazz’s Victor L. Schermer on May 8, 2009. One of his greatest achievements is being the founding Music Director of the world renowned Peter Nero and the Philly Pops. On January 27, 2007, Mr. Nero joined Rod Stewart from the piano with the Philadelphia Orchestra for a performance of “They Can’t Take That Away from Me” at the Academy of Music 150th Anniversary Concert. Mr. Nero’s recent guest performances include engagements with the Indianapolis Symphony, the National Arts Centre Symphony in Ottawa, the Charlotte Symphony, the Detroit Symphony, and the Baltimore Symphony, among others. His complete concert schedule can be found at www.peternero.com. 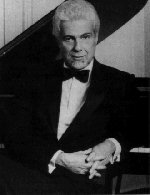 As a Steinway artist for over 60 years, Mr. Nero returned to New York’s Carnegie Hall in 2003 to perform at a gala celebrating the 150th Anniversary of Steinway with many noted pianists, including Dr. Billy Taylor, Herbie Hancock, and Michel Legrand. After his early association with RCA Records, he moved to Columbia Records, which resulted in a million-selling single and album—The Summer of ’42—now available on CD. His recordings over the last 14 years include two CDs with the Philly Pops, Holiday POPS! and Broadway Showstoppers, and three CDs with full symphony orchestra: On My Own, Classic Connections, and My Way. He also recorded Peter Nero and Friends, which contains collaborations with Mel Tormé, Maureen McGovern, and Doc Severinsen, among others. His latest CDs are romantic albums titled Love Songs for a Rainy Day and More in Love. By popular demand, dozens of his earlier vinyl recordings have been re-issued on CD all available on iTunes and Amazon. Music lovers of all generations can now hear him on Rod Stewart’s album As Time Goes By … The Great American Songbook, Volume II and see him on YouTube. Mr. Nero’s first major national TV success came at age 17 when he was chosen to perform Rhapsody in Blue on Paul Whiteman’s TV special. He subsequently appeared on many top variety and talk shows, including 11 guest appearances on The Ed Sullivan Show and numerous appearances on The Tonight Show Starring Johnny Carson. Hailed as one of the premier interpreters of Gershwin, Mr. Nero starred in the Emmy Award- winning NBC Special “S’Wonderful, S’Marvelous, S’Gershwin.” Other TV credits include performances on PBS-TV’s “Piano Pizzazz” and with the National Symphony in Washington, D.C., on its July 4th special titled “A Capitol Fourth.” He served as music director and pianist for the PBS-TV special “The Songs of Johnny Mercer: Too Marvelous for Words” with co-stars Johnny Mathis, Melissa Manchester, and the Philly Pops. During the years of the prime time Variety shows he performed 12 times on the Ed Sullivan Show, Perry Como, Jonathon Edwards, Dinah Shore, Jackie Gleason and George Gobel, to name a few. Among Mr. Nero’s long list of honors are six honorary doctorates (the most recent from Drexel University in 2004) and the prestigious International Society of Performing Arts Presenters Award for “Excellence in the Arts.” He is also included on two historic walks of fame—one in Philadelphia, and one in Miami, Florida. In 1999 he received the Pennsylvania Distinguished Arts Award, presented by Pennsylvania Governor Tom Ridge. Previous honorees include Marian Anderson, James Michener, Andrew Wyeth, and Riccardo Muti. In February 2009, the Abraham Lincoln Foundation of the Union League of Philadelphia presented Mr. Nero with its prestigious Lincoln Award as part of its Lincoln Birthday anniversary 2009 celebration. The Award is given to persons of distinction who, through their actions, have significantly contributed to the United States of America. Peter Nero is an active supporter of many important causes, including the funding of school music programs, fundraising for the building of new arts centers across the country, as well as research for cancer, dystonia, and autism. When not touring the world, Peter Nero makes his home in the Philadelphia area. He has two children—Beverly, a successful film producer residing with her husband in California, and Jedd, a successful commercial real estate entrepreneur residing with his wife near New York City. Both children have made him a grandfather (3).